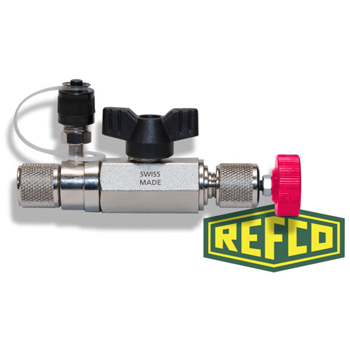 Refco 5/16″ Valve Core Replacing Tool – Infinity HVAC Spares & Tools Pvt. Ltd.
Used for faster vacuum, charging & recovery. Designed to remove & replace Schrader valve cores without losing refrigerant charge. Increase evacuation & charging speeds by creating unrestricted access to the system. Consists blank off valve & a 360D movable vacuum gauge access port which allows for easy access in tight spaces.